Corn, Chicken, Sorbitol, Glycerin, Fructose, Pork Gelatin, Peanut Butter, Barley Malt Syrup, Maltodextrin, Sweet Potatoes, Peas, Carrots, Dicalcium Phosphate, Salt, Ferrous Sulfate, Titanium Dioxide (Artificial Color), Zinc Sulfate, Artificial Flavor, Niacinamide, Xanthan Gum, Potassium Sorbate (Preservative), Sodium Pyrophosphate, Sodium Propionate (Preservative), Sodium Tripolyphosphate, Vitamin E Supplement, D-Calcium Pantothenate, Riboflavin Supplement, Thiamine Hydrochloride, Pyridoxine Hydrochloride, Manganese Sulfate, Vitamin B12 Supplement. 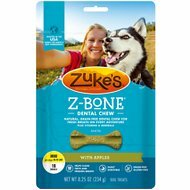 Anytime I give my pup one of these, he actually plays with it like a ball before eating it. The outside unravels into strips which he tugs on, then the center pieces fall out and he's thrilled to see more treats. I'll definitely be ordering more of these! I didn’t actually read the description on this product before it ended up in my cart so it was an interesting product. 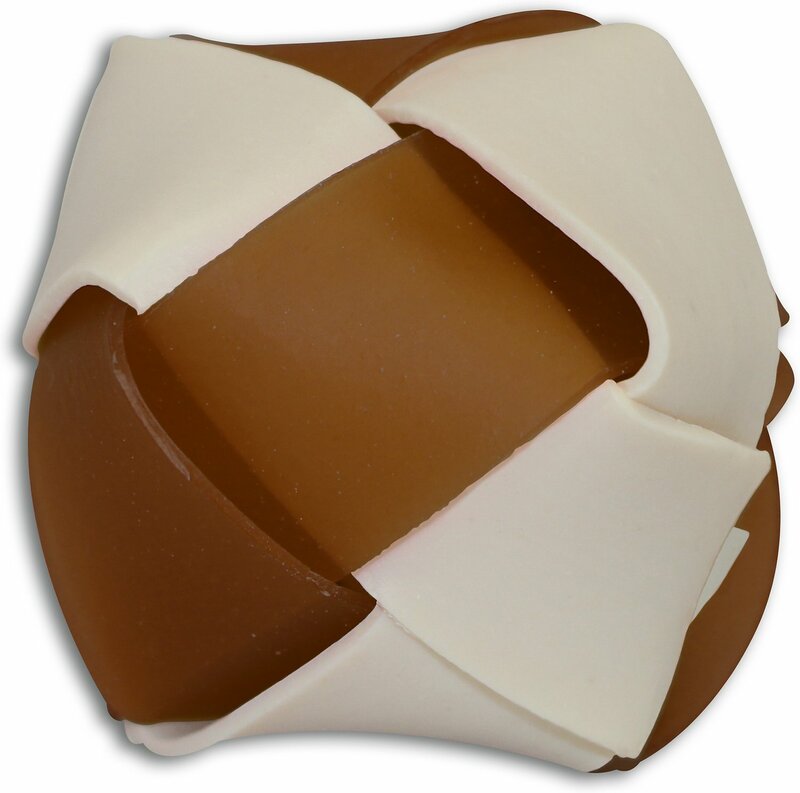 It’s rawhide like product shapes into a hollow ball with loose pieces of treats inside. A full little surprise for the pup. She has really enjoyed them! 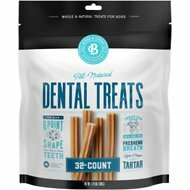 My Shih Tzu loves these treats!!! They come as balls wrapped up in peanut butter and chicken and have chicken treats inside! My baby chowed down through these in 1 week! lol They only come with about 4 in a pack so I do recommend ordering multiple bags. They aren't everyday treats to give to your pup but I'd definitely use them as a reward for being good during bath time or even play time. I've used them indoors to play fetch and as soon as my Shih Tzu discovers what it is she chows away. Highly recommend. I thought this would be fun for my guy. Not so much, he is the smartest pup, and this treat confused him. Funny to watch though lol My neighbor's 2 black labs loved them! Our foxhound, who was a rescue, doesn't play with anything but these! She absolutely loves them. They're a great price to boot! 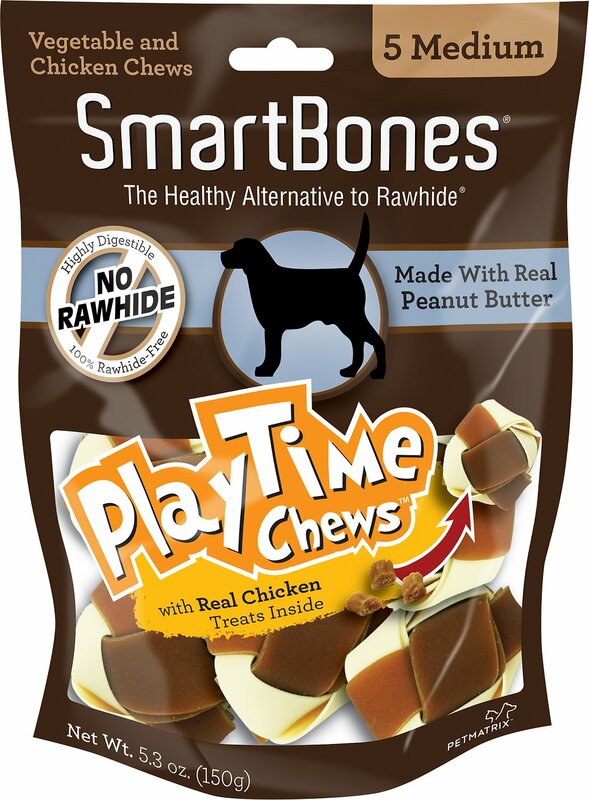 My 2 dogs absolutely love the smart bone peanut butter bones. they dont last too long but they beg for them every night!! 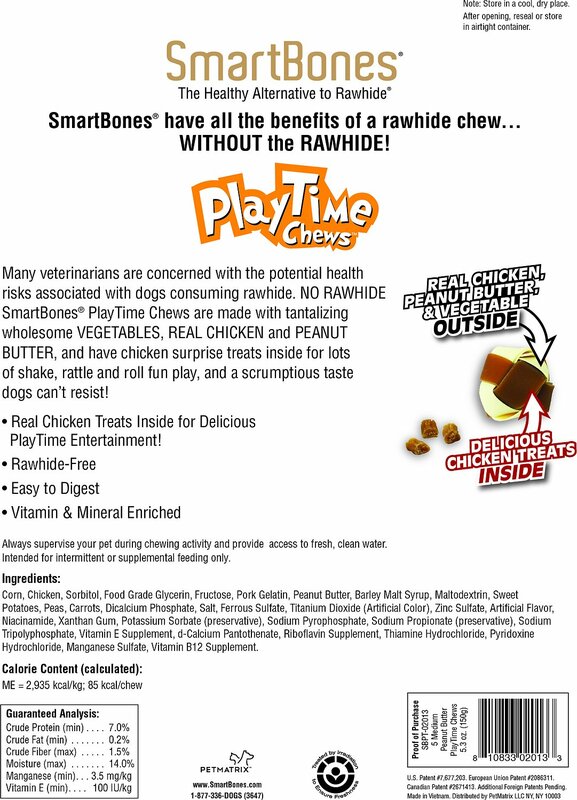 Bailee is my 2 1/2 year old Samoyed and she loves all SmartBones products including this one! Keeps her teeth clean too! My dog is obsessed with these! Our 4 month old Border Collie pup, absolutely loves these treats! She loves peanut butter flavored anything, and REALLY loves breaking into them to get to the treats in the middle. These keep her occupied for about 20 minutes or so, and then begs for another... Would absolutely recommend these! My dog loves these! Good Product. Easily digestible.